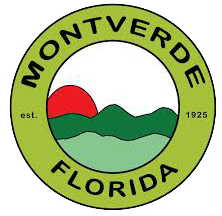 Judy has been a resident of Montverde for the past twenty four years after moving from Orlando. She worked for the Department of Business and Professional Regulation as a Paralegal, Complaint Analyst, Investigator and Supervisor for twenty five years before retiring in 2010. Previous to this she has worked for the CIA in Washington DC, owned two businesses and taught the Real Estate Law Course at both Valencia College and UCF for thirteen years. Judy was also the Director for the Real Estate Institute at Valencia’s Open Campus and Clerk for Lake County Elections Precinct 16 Polling Station in Montverde. CHIEF KEVIN M RAUSCH SR.
Chief Rausch was born in Flemington, New Jersey and resided there until he joined the United States Air Force in the winter of 1986 where he served as an airframe structural repairman working on F-15’s, C-130’s and Huey Helicopters. After his discharge he moved to Tacoma, WA briefly with his ex-wife until he returned back Flemington in 1989. He later moved to Florida where he has resided since March 1994. Chief Rausch began his fire service career with the Flemington Fire Department in November 1986 and remained active with them until he moved out of New Jersey. While in New Jersey he also was an EMT with the Flemington Raritan First Aid and Rescue Squad. While residing in Florida has volunteered for the Tri-County Volunteer Fire Department and then the Royal Volunteer Fire Department in Sumter County until they merged into what is now known as Sumter County Fire and EMS. While serving with the Royal VFD he rose through the ranks from firefighter all the way to acting Assistant Chief before becoming a volunteer firefighter with the City of Clermont while pursuing his State of Florida EMT and minimum fire standards. In November 2003 he became the Fire Inspector for the City of Clermont. In 2006 he was awarded the Lake County Fire Inspector of the Year by his peers and then in 2007 he was awarded the Florida Fire Inspector of the Year. Chief Rausch has always prided himself with protecting others property and saving lives. Chief Rausch holds certifications in; Fire Inspector 1 and 2, Fire Officer 1, Fire Instructor 1, Fire Investigator 1 and 2, Florida EMT, and Firefighter 1 and 2. Chief Rausch has served as a member of the Montverde Fire Department since April 2013 where he started as a firefighter/EMT and then he became a Captain in July 2013, he was appointed the Assistant Chief in December of 2013 and took over as Fire Chief February 2014 upon the exit of the previous Chief.